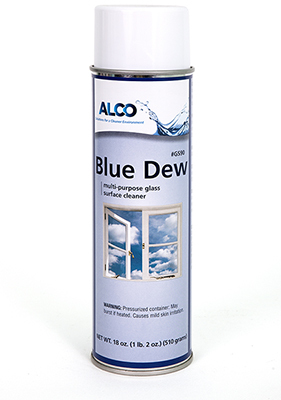 Alco Blue Dew - Alco-Chem, Inc.
Our best selling multipurpose heavy duty glass and surface cleaner. Safe on most surfaces. Cleans and brightens all hard surfaces. Fortified with ammonia. Leaves no smears. Dissolves smoke film, grease, smudges.